Magnuson Worldwide’s global hotel brand is proud to announce the addition of Magnuson Hotel Hampton to the Magnuson family. Located in Hampton, Virginia; the property offers an outdoor pool and fitness centre, is steps from Buckroe Beach and 1 mile from the Hampton Roads Convention Center. All rooms enjoy free WiFi, a 32-inch flat-screen TV with cable, air-conditioning and coffee-making facilities. 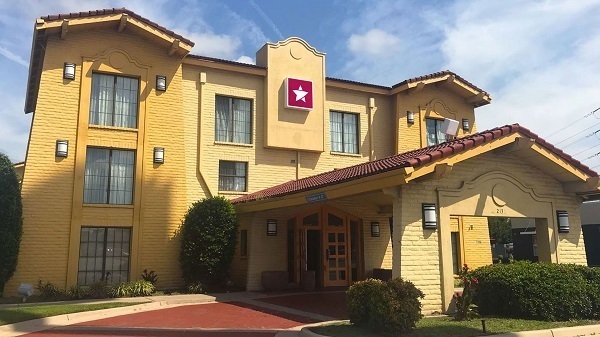 The hotel has 24-hour reception and is near a variety of restaurants including Cracker Barrel and Outback Steakhouse. Plus Hampton Coliseum and Boo Williams Sportplex are within 1.5 miles of the hotel. About Magnuson Worldwide: Since its launch sixteen years ago, Magnuson Worldwide has become America’s fastest growing hotel brand and a top 15 global chain, marketing over 1,000 hotels across six countries and three continents. Magnuson Worldwide’s newly formed distribution partnership with Chinese operator Jin Jiang Hotels and Europe’s Louvre Hotels is the world’s largest hotel alliance, forming a consortium of over 8,000 hotels and 800,000 rooms worldwide, equal to the size of a top 2 global hotel chain. For more information: info@Magnusonhotels.com US 509.747.8713 UK (+44) 020 3051 2724.